Hi everyone, Laurie here sharing a Christmas card today. I decided to use the Fancy Carolers die ...in fact, I'm going caroling next week. It will be lots of fun! Except I won't be dressed so fancy..lol! The carolers were cut out in black, I adhered a few gold sequins here and there. 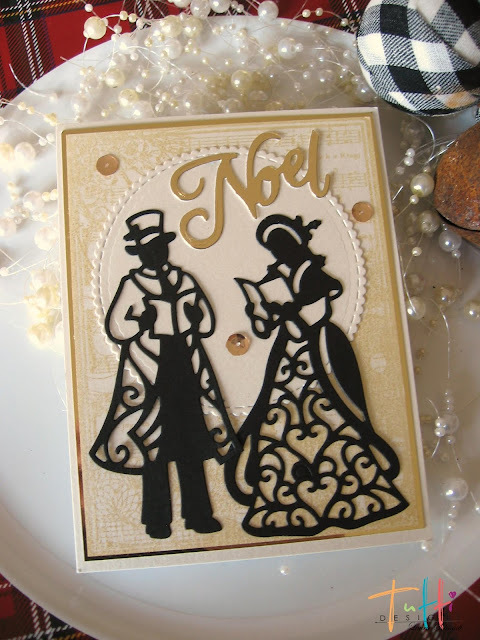 Such a pretty card, love the silhouette and the Gold Noel....wonderful!